Redeveloped website of the iconic concert and theatre venue capable of hosting intimate theatre experiences through to the world’s biggest productions. The AEC had a specific set of requirements when they approached The Digital Embassy. They required updates to their existing business website so that it would promote the AEC as a function venue as well as a concert venue. 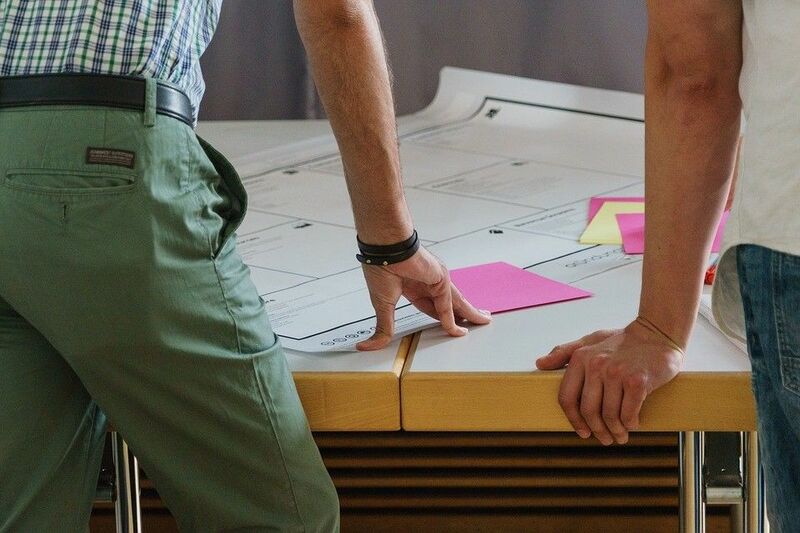 The redevelopment needed to include a new design and the development of a new functions area of the website to promote that aspect of the AEC business. It also needed to be built using responsive design to make it user friendly for mobile and tablet users. The brief had a unique requirement for a home page that would act like an index page and immediately prompt the user to select from either “Concerts & Events” or “Functions” and direct them to the appropriate area of the website. 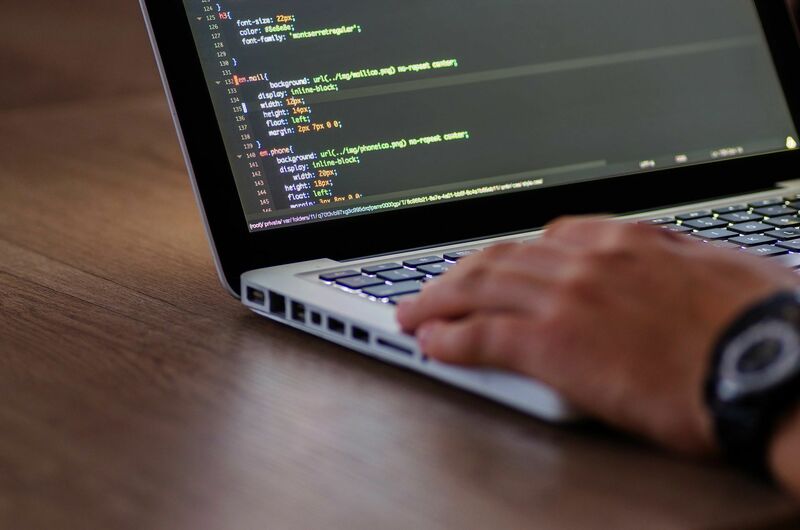 Using this approach would allow the AEC to accommodate content directly to a user’s requirements and steer them to the appropriate area of the website as the 2 elements of the business are quite different. 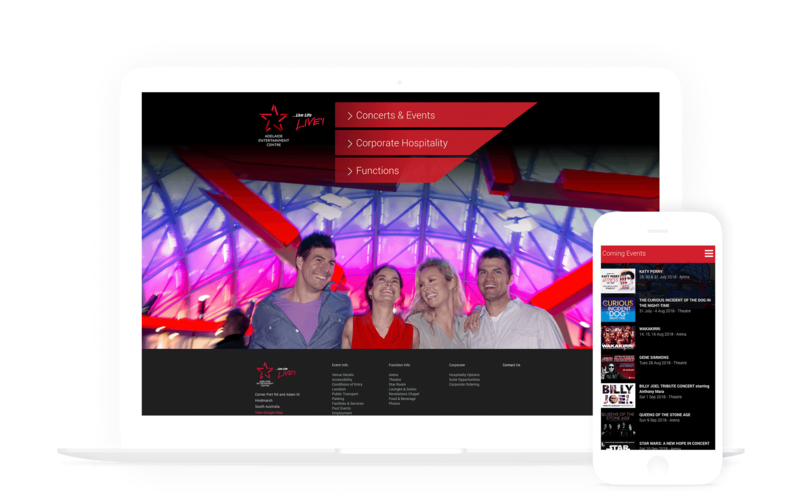 Facilitating the ability to choose their destination; “Concerts & Events” or “Functions” via a customised index page, visitors are allowed to instantly access the information they require – improving the overall friendliness of the website. The specialised index page also serves to promote the AEC as the ideal location for hosting functions, while maintaining its reputation as the best concert and theatre venue in Adelaide. 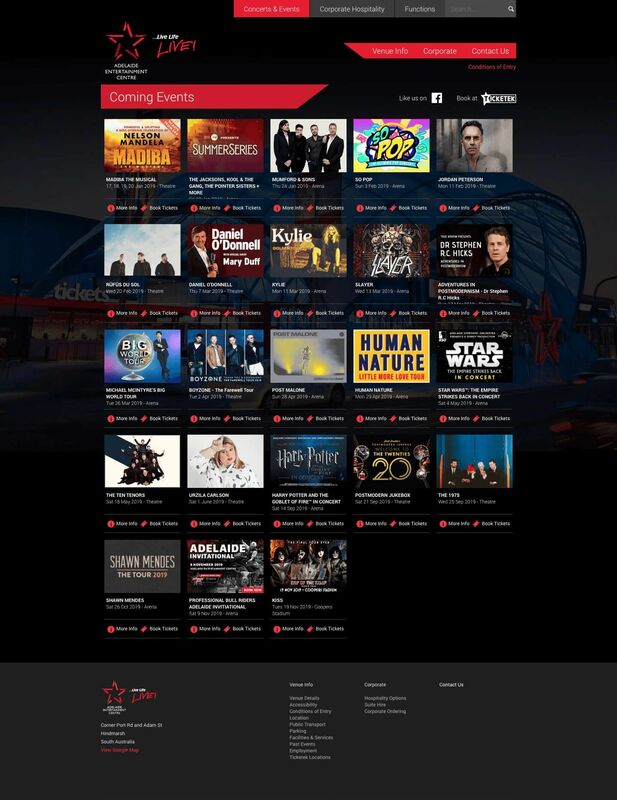 Choosing the “Concerts & Events” option directs the user to the section of the Adelaide Entertainment Centre website dedicated to the promotion of upcoming concert events. The user can find information relating to an event and proceed to book their tickets. Selecting the “Functions” option directs the user to an interactive page that allows a function planner to review the room options available for hire at the AEC. The user may refine their search by selecting the type of function being planned and the number of guests expected. The suitable rooms that match the chosen requirements are then displayed and the user can easily access the “enquire about a booking” form – facilitating a direct call to action.The website is extremely user friendly and is fully responsive across all devices and screen sizes. Behind the scenes a Content Management System allows The AEC staff to easily update and maintain the website’s content. The new functions area of the website has been expertly designed and developed giving users the ability to easily select a room that is suited to their event and complete the online enquiry form. The Concerts & Events area of the website has been turned into a showcase of upcoming events that confirms the Adelaide Entertainment Centre’s new status as Adelaide’s best function, concert and theatre venue. We have long been acknowledged on national and international stages for our award winning work in design, development, strategy and performance. We are proud that this website has been recognised by respected web industry leaders and that we have produced a result our client loves.